We have been studying American History for school this year. History is our favorite subject and Mike even joins us when he is home. When we were offered Digital Heroes & Heroines of the Past: American History Curriculum from Golden Prairie Press we were thrilled to add this to our studies. 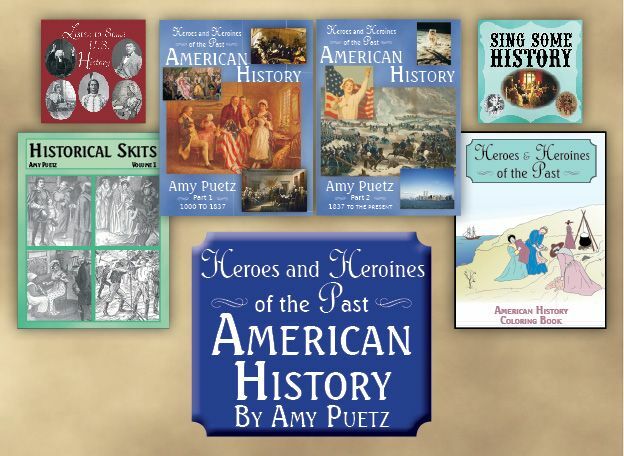 Digital Heroes and Heroines of the Past: American History Curriculum is a complete history program written by Amy Puetz. It contains 6 downloadable components for grades 1-6 and is available for $98.99 We received all six components that make up Heroes & Heroines. There are 3 ebooks, and 3 audio downloads. Heroes & Heroines of the Past: American History Part 1 ebook (1000-1837)~ This 388 page ebook is for the first half of the school year and covers the Period of Discovery, The Period of Colonization, The Revolution, The Formation of the Union, and the Period of National Development. There are 15 sections with 5 lessons per section. Each lesson is divided into two sections. The first section is for 1st & 2nd grades and the second section is for 3rd-6th grades. The first section uses a larger font and just gives a brief overview of the topic. 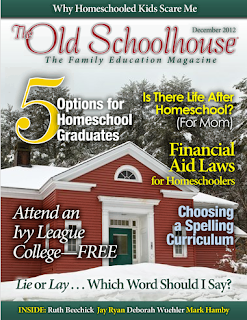 The second section gives more details for older students. There are recommended literature books for older students to read, activities such as crafts, cooking, games, music, and art along with additional resources at the end of each unit. Questions are included to check retention, some lessons contain writing assignments or maps & geography lessons. Heroes & Heroines of the Past: American History Part 2 ebook (1837-present)~ Part 2 is the second half of the program and it is set up the same way as Part 1. It starts where Part 1 left off with The Periods of National Development, The Civil War, The Period of National Expansion, and The United States, A World Power. The appendix includes The Constitution, and Presidents of the United States. Additional Materials CD ~ This download contains printables for the games, time lines, maps, songs, and more that go along with the lessons. Historical Skits ~ This 50 page ebook contains 19 skits about people or events in history. Sing Some History CD ~ 20 songs from history are included in this download. Songs like Yankee Doodle, Tippecanoe and Tyler Too, Sweet Betsy from Pike, Battle Hymn of the Republic, and more. 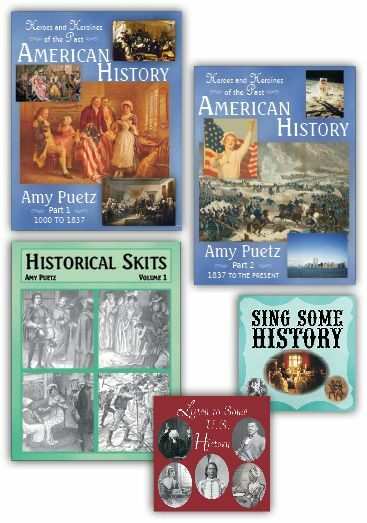 Listen to Some U.S. History MP3 CD ~ There are 20 MP3 files that cover main events throughout history. They include speeches, poems, Constitution, Bill of Rights, and more. When we received Heroes & Heroines we were starting World War II, so we skipped on ahead and started Section 28 of Part 2. That put us starting with Harding, Coolidge, Hoover, and Roosevelt. Lesson 2 brought us into WWII and we went through the rest of the book ending with the Administrations of Bush, Clinton, Bush, and Obama. I keep all three of my girls in the same time period of history to make it easier on me. 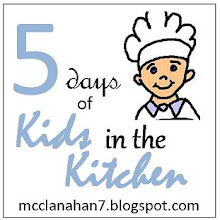 I did the same with this program, and used it with Amber (age 13), Delaney (age 12), and Alaina (age 9). I read the main text from lesson out loud to the girls and then we would answer the questions orally. This way we could have more discussion about the topics. We would listen to our suggested recordings or songs together, and for the writing assignments I would require more from Amber & Delaney than from Alaina. When we were shown artwork we discussed those questions and answers together too. They each created their own timeline, each using a different form. Included in the extras there are four variations of the WWII Timeline. One is completely filled in, the next one is missing the dates, the third was missing the event, and the fourth was completely blank. I had Alaina just add the date, Delaney used the one missing the event, and Amber filled in the blank one. I printed off all 7 maps that go with WWII and left them laying around, so the girls could look at them while we were reading the lessons, or at random times throughout the day. My girls favorite part are probably the skits that are included. They love to act them out or use their puppets to give a show. They have been going through the ebook from the beginning because they have been having a lot of fun with them. They really like the writing style of Amy Puetz. The lessons read like a story and that makes it very easy for the girls to remember events & details. This program is very easy to use. After reading each lesson the questions, activities, geography, maps, time lines, etc are included at the end of the lesson. If you need to listen to an audio we are given the link in the book when it should be listened too. There are also memory verses included and it is recommended that you keep track of these on index cards. 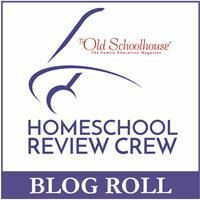 We have been enjoying this program so much that my girls have went back and read some of the lessons for fun because they read like a story and they really like them. When I was in school I hated history. I hated reading the dry, boring textbooks and I didn't care about memorizing dates, places, and names. I was very ignorant about history & geography until we started homeschooling. One of the main reasons my girls and I enjoy history so much now is because I make it memorable. That is why Heroes & Heroines of American History is such a good fit for my family.